In our research, 5-30% of followers are fake -- they're bots, spam accounts, inactive users, propaganda, or other non-engaged/non-real users. If you rely on follower count as a measure of potential influence and reach, you could be vastly overestimating an account. 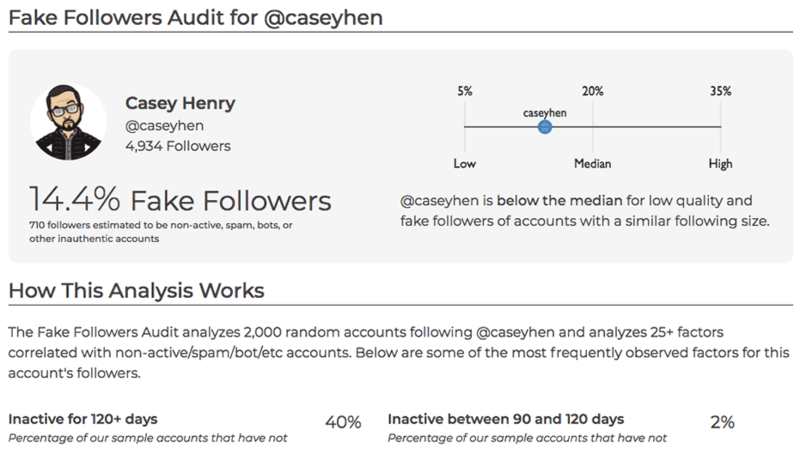 This tool audits a sample of 2,000 random followers for any given account and runs diagnostics found to strongly correlate with these types of fake followers.